‘Cause baby you’re a firework. The Fourth of July is a big holiday in America. I have such wonderful and vivid childhood memories of celebrating on the shores of Lake Michigan, dancing around sparklers buried in the sand, and eating burgers, watermelon, cake with red, white and blue frosting and trying to elude adult eyes to steal a sip of beer from the inevitable keg. Those were wonderful days. This year, when you are not eating, drinking, playing softball and watching fireworks, please give thought to our Founding Fathers and all that they sacrifised to secure our independence from an oppressive sovereign. We all will relive history, but it should not stop there. We should think about independence and freedom in our daily lives. We should take a moment to ask ourselves why it is special to live in America. Our country is the greatest country on earth, and we need to keep it that way. Currently, the edges are crumbling a bit, and we need to get back to basics and the foundation of our freedom. I have lived abroad and traveled abroad a lot in my life. Each time I return and touch down on American soil, I give thanks. Other cultures and other countries are interesting and exciting, and I have been blessed to experience them. But the freedoms there and the opportunities for advancement are minor as compared to the freedoms and protections we enjoy as Americans — and as women in America. People need to understand that. I often wonder how the large discontented element of our country would respond to life elsewhere. I think they would be shocked and dismayed. I think that they might begin to see what they have here in America through a different lens. It is all about mindset. America is still the greatest country on earth with a Constitution that has been replicated around the world and a Bill of Rights equaled by none. That is a lot worth fighting for. So, happy Independence Day to America and to you. Wave the flag, get out the red, white and blue and have a happy and safe Fourth of July. Last week was witness to a remarkable “W” for a democratic primary candidate. In case you have not heard, 28-year-old Alexandria Ocasio-Cortez brought off a stunning upset over a ten-year incumbent in New York’s 14th Congressional District. If you are not yet impressed that this is remarkable, stay with me. There is more. The “more” is that this young woman pulled off the win although she never has held public office, has no big donors, and was running a campaign on a shoe string. So how could that happen? The simple answer is that Ms. Ocasio-Cortez knew how to communicate to voters. Her principles were strong, and her message was clear. I also have seen her interviewed, and she is an appealing personality. I might have wanted to support her if I lived in New York. Now you probably want to know why I am deviating from my “no politics” policy to bring you this information. Good question. The good answer is that I am an advocate for all women. What impressed me about this story is that the messages this young woman candidate projected met certain criteria that can benefit all women, including women attorneys. And that is why the victory by Ocasio-Cortez should be important to you. No Excuses: Just because there are others with better credentials and stronger connections to the “big boys,” that does not mean that you get a pass on trying. Remember that your enthusiasm and your positive attitude can have a winning influence on people. Maybe there is no one who is willing to introduce you to potential clients. So? Get out there on your own. Go to as many venues and meet as many people as possible. Networking 101. So, take a page out of Alexandra Ocasio-Cortez’s book and GO FOR IT! You just might be as surprised as she was with the result. Diversity should be on the minds of all people. All the time. It should be on our minds as we walk the streets and as we read our newspapers. We always should be asking ourselves how open-minded we are and how accepting of different peoples and different cultures. We never should forget the important role that diversity plays in our lives and in the expression of our freedoms. Diversity is important to the quality of our institutions and the quality of our products. It has been demonstrated that diverse teams produce better and longer-lasting results. That is why diversity is so important to the profession of law and to best practices. 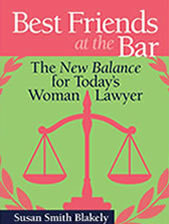 The Best Friends at the Bar project is founded on expressions of diversity. 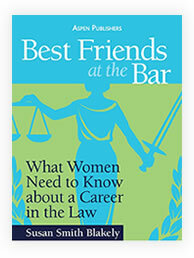 It was designed to advocate for diverse populations, which now include women lawyers and all young lawyers. It was founded to address the challenges faced by special interest groups and to help members of those groups overcome the challenges. 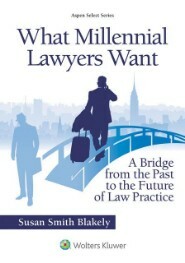 As a profession, the law has not always been diverse. In fact, for most of its existence it has been populated by mostly white males. But all that has changed. It is true that the power in the profession is still concentrated in the male population, but women and people of color have advanced to positions of acceptance and excellence that cannot be denied. There still is much to do to achieve real diversity where women are concerned. 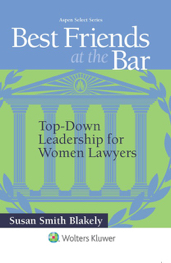 Women lawyers are not paid as much for the same work as male lawyers, and women lawyers are still a minority in positions of management and leadership in law firms. Women lawyers continue to face challenges based on stereotyping and gender discrimination and harassment, and women lawyers of color are saddled with an entire other layer of discrimination. With diverse populations come challenges. And, as a profession, we must be up to the challenge. So, when I saw this article on “diversity fatigue,” it resonated with me. Diversity fatigue, really? “Fatigue” meaning that it exhausts you and you are tired of it — whoever you are? It is not too exhausting for those of us who realize how far we still have to go to achieve diversity that will be healthy for our profession. If it is not too exhausting for those diverse populations that are trying to be included in the group and climb the ladder of success. It is not too exhausting for those bright young minds who are contemplating whether they want to join our profession. If it is too exhausting for law firm managers, leaders and diversity officers, that is a BIG problem for them to address. They have a product to sell, and their market is more diverse than ever. So, read the article and see what you think. Let me know.